Author Kimberly Stezala passionately believes that every student should have access to a quality education. 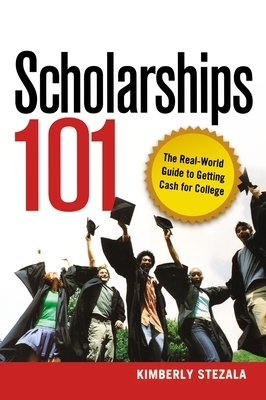 That's why, in this essential and timely guide, she provides parents and their kids with step-by-step tips to approach the scholarship process like pros. Filled with inspiring advice from successful students and scholarship providers, Scholarships 101 shows aspiring college students how to: apply for scholarships that are the best match for their profile and skills; create a scholarship application that will stand apart from the rest and impress the judges; find the buried treasure of scholarships that aren't necessarily available on common websites; and build a team of supporters in their scholarship quest Those students who are fortunate enough to be on the honor roll or are the star quarterback of the football team have access to the best scholarships. But what will happen to every other aspiring collegiate--those students who have the potential for a great college career but not necessarily the financial backing to attend their top-choice school? Scholarships 101 offers the extra boost many students need to plan and realize the future of their dreams. Kimberly Stezala (Milwaukee, WI) founded Wisconsin's first online scholarship search engine. She is an advisory board member at Parents Plus Wisconsin and writes a scholarship column for Wisconsin's largest African-American newspaper.